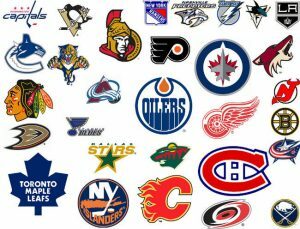 Calling all the hockey fans, the NHL 2017-2018 season is almost ready to start! 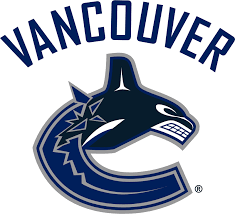 The season is the 101st of operation of the National Hockey League and this year count with the addition of a new expansion team, the Vegas Golden Knights, 31 teams compete in an 82-game regular season and starts on October 4, 2017, and will end on April 7, 2018. Find below 14 fun facts about hockey. When hockey was played in its early days, a frozen patty of cow poop was used as a puck. Today, hockey pucks are frozen before a game to prevent them from bouncing during play. Two American brothers started the tradition of “octopus throwing” during the 1952 playoff games. At that time, it took eight wins to claim the Stanley Cup. So Pete and Jerry Cusimano, who sold fish for a living, brought an octopus (with its eight tentacles) to the Detroit arena and tossed it onto the ice. The Detroit Red Wings won the Cup, and the octopus has been a good luck charm in Detroit ever since. The Pittsburgh Penguins once had a live penguin as their mascot that was named Slapshot Pete. After winning the Stanley Cup in 1924, Montreal Canadiens players drove to their victory party with the trophy in the trunk of the car. When the car got a flat, they removed the Cup to get the spare tire. Once they changed the tire, they forgot all about the Cup and left it behind in a snowbank. Later that night, they realized what they’d done and returned to get the trophy. Luckily, it was still where they left it! Every member of a Stanley Cup winning team gets a personal day with the Cup. Many champs have taken part in the tradition of filling the Cup with food. Some of the items that have been eaten from the Cup include: cereal, meatballs, chicken wings, poutine, and ice cream. Before 1914, referees placed the puck on the ice between the players’ sticks for face-offs. Of course, they ended up with lots of cuts and bruises as players tried to get the puck. To prevent these injuries, rules were changed and refs were allowed to drop the puck instead. If a team’s two goalies are injured during a game, the rules state that anybody can play the position — including a fan from inside the arena! At one time, rules stated that the team captain had to be on the ice always. During a game, the rules say that a goalie cannot cross the centre-ice red line with or without the puck. In 1991, the NHL’s first ever outdoor game was held in Las Vegas, Nevada. During the third period, there was a grasshopper invasion. Hundreds of the bugs began hopping along the ice. Players said that black flies also began to swarm the ice during the last five minutes of the game. An NHL game was once cancelled due to rain. In March 1995, rain caused the flooding of a river near the San Jose Sharks’ arena. This made it too dangerous to get to the arena, so the game was called off. It was the first and only time an NHL game has been rained out. In one of the most unique hockey records, Pittsburgh’s Mario Lemieux scored five different ways in one game. He scored a goal at even strength, got one on the power play, another shorthanded, another on a penalty shot, and a final one into an empty net with one second left in the game. He is the only NHL player to ever score “five goals five ways” in one game. To check more about the games and find tickets click here. Looking to study English abroad? Find out more about studying English in Canada with EC!